In the village of Schaumburg there, is only one building on the National Register of Historic Places. It is a hidden gem called the Paul Schweikher House that, for many years, was a private residence. The home was built in 1938 by Mr. Schweikher, a renowned architect, who lived on the 7 acre site until 1953 when he moved to Connecticut to head Yale University’s architecture school. You now have an opportunity to view this local architectural wonder. The Schweikher House Preservation Trust, in conjunction with Docomomo Tour Day 2018, is pleased to offer tours of this Prairie-styled home. The house will be open to the public for pre-scheduled, 50-minute tours on Saturday, October 13, 2018 from 10 a.m. to 2 p.m. The cost of the tours is $25 per person, paid in advance of the event with a maximum of 12 persons per tour. For registration, visit http://schweikherhouse.org/tours/, call Executive Director Todd Wenger at (847) 923-3866 or email info@schweikherhouse.org. Tours of the house will feature Schweikher’s masterful integration of brick, glass, and wood, including an iconic brick fireplace, passive solar room, cantilevered construction, exposed wood beams, built-in furniture, a Japanese soaking tub, raked gravel courtyard, and gardens designed by the noted Midwestern landscape architect Franz Lipp. This event is being sponsored by the Schweikher House Preservation Trust. For information about the house, please visit www.schweikherhouse.org. It was a farmhouse that drew Chicago architect Paul Schweikher to Schaumburg Township but it was the countryside that kept him here. 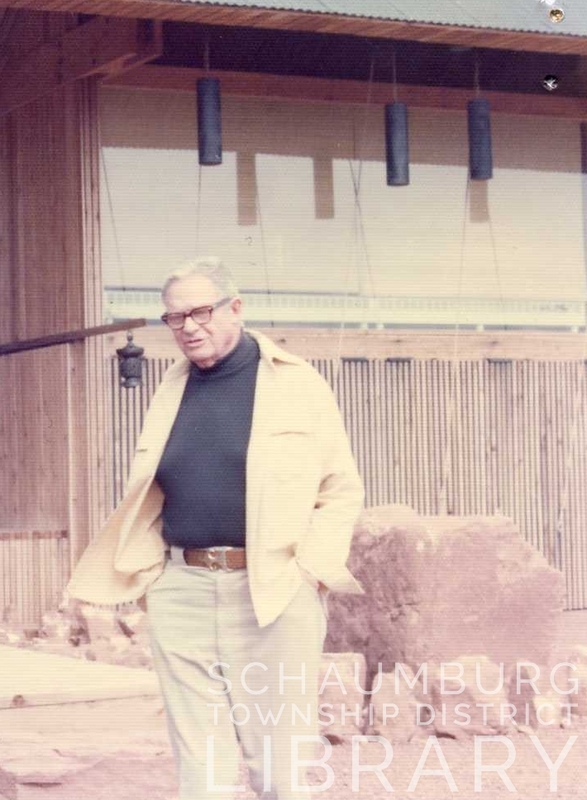 Today, the home he built on the banks of Salt Creek is on the National Register of Historic Places and belongs to the Village of Schaumburg. It is a masterful combination of Japanese, modernist and prairie elements all rolled into a striking house and studio. Schweikher built it when he was working in Chicago where architecture is, most assuredly, a veritable feast for the eyes. How amazing then, that he intentionally chose remote, rural Schaumburg to build this most unique structure to be his personal residence. He had arrived in Chicago in 1922 as a young man of 19 and studied at both The Art Institute of Chicago and the Armour Institute of Technology, while also working with noted architect, David Adler. Eventually moving on to Yale University, he completed his degree in 1929. He returned to Chicago in 1930 and worked with a number of local architects before settling in as principal and senior partner at the firm of Lamb & Elting in 1934. Schweikher came to Schaumburg Township in 1936 to study a farm that had recently been purchased by L.D. Kern and his wife, Dorothy. The farm was on the east side of Meacham Road and the Kerns invited him with the hopes that he could renovate the house on the property. After walking through the farmhouse and most likely deeming it too small for the Kern’s growing family, he turned his attention to the barn. It showed much more promise and potential–both for the family and for his architectural skills. He had to have been intrigued because he accepted the commission and rolled up his sleeves to begin work on the design. In conjunction with local builder Emil Sporleder, the house was built and ready for the Kerns by December 1936. During that time Schweikher likely became intrigued with the farm because, on February 1, 1938, (according to a Cook County title record) Schweikher obtained seven acres from L.D. and Dorothy Kern. It has never been determined whether Schweikher purchased the property from the Kerns or received it as payment for the work on their house. Martyl Langsdorf, a later owner, always said it was an in kind payment for the work he did for the Kerns. The Kern’s son, Jerry, said it never came up in conversation while his parents were alive. Consequently, we are still left wondering. Nevertheless, the plans for purchase must have been happening for some time because earlier, in 1937, he had begun the design of his house on a return voyage from Japan. Having visited the country with his wife, he was powerfully influenced by the architecture he encountered on the trip and included a number of Japanese elements in the design. 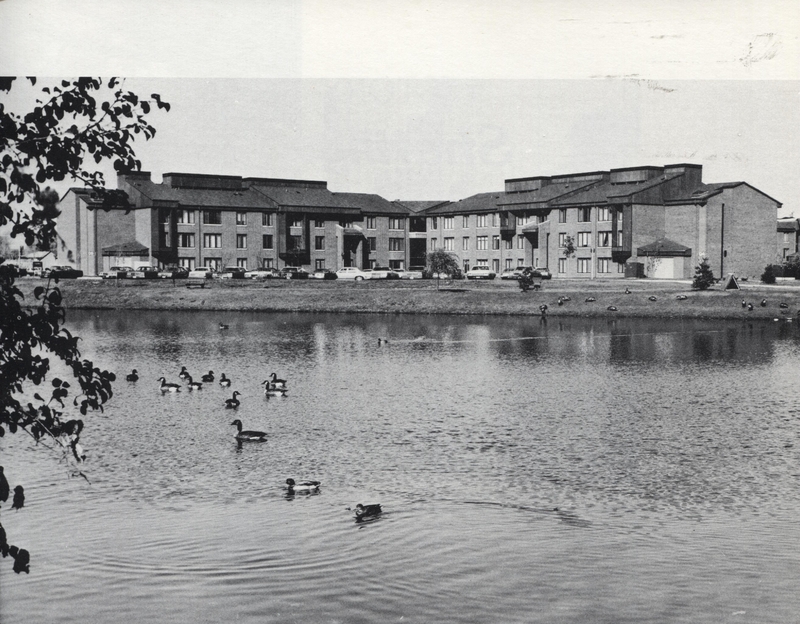 Construction began in 1938 with Emil Sporleder once again serving as the main contractor. An October 7, 1938 mention in the Roselle Register states that “Mr. Sweitzer [sic], a Chicago architect is beginning construction of a home on Meacham Road, a few blocks south of Schaumburg road. The ground formerly belonged to L.D. Kern’s Willow Brook Farm.” We do not know when the house was finished or when he and his wife moved in, but we do know that he eventually named it the Willow House. This name was reflective of both the willows that grew along the banks of Salt Creek and of a particularly striking specimen that grew in the front yard. 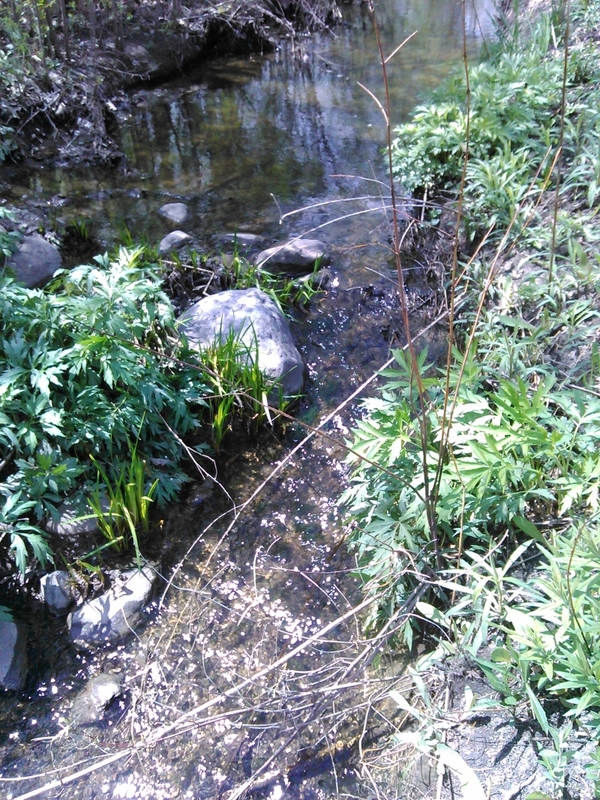 The willows were clearly a powerful influence for both the Kerns and Schweikher. Once the house was completed, Schweikher commuted back and forth to Chicago for work until after the outbreak of World War II. His architectural firm dissolved in 1942 as a result of the war and Schweikher joined the Naval Reserve, serving as a Naval Lieutenant Commander. For a time, he served locally but, by 1945, he was based in Monterey, CA. According to a July 6, 1945 Daily Herald mention, Schweikher came home for a 15 day leave because, in June of that year his wife gave birth to their son, Paul Jr. in Chicago. The majority of the design projects undertaken by the firm were private family residences, with most of them developed in the Chicago area. Various draftsmen and architects were employed such as Edward Dart, who went on to be part of the firm of Loebl, Schlossman, Bennett & Dart and designed Water Tower Place. Hired for secretarial purposes was Doris Klausmeyer, the wife of architect Thomas H. Klausmeyer who worked for Skidmore, Owings & Merrill. Schweikher was also asked to take on a couple of local contracts. Considering he did most of his local business in Roselle, it is no surprise that during the school referendum process in December 1951, the Roselle School District commissioned the firm to do the design. After the referendum passed Schweikher designed a school that was built into the side of a gentle slope at the corner of Maple, Howard and Pine. Roselle School (later Parkside School) consisted of four classrooms, a play assembly room, a health and staff room and, on a lower level, bathrooms and a boiler room. In 1953, Schweikher was called on by the newly formed District 54 in Schaumburg Township to design a school on Schaumburg Road, just west of Plum Grove Road. At the time, his own 7-year-old son was attending Schaumburg Center School, the one-room schoolhouse in the heart of Schaumburg Township. It had to have been obvious that a new school was definitely needed. You can see the school off to the right in the distance. Schweikher put the plans together during his last months in Schaumburg. The design for Schaumburg School was somewhat reflective of Roselle School, although the stones on the chimney and the east and west walls are certainly distinctive. This school, too, had four classrooms, as well as an office that was part of a large assembly area. It was certainly unique for rural Schaumburg Township. Around this same time George Howe, Chair of the Yale University Architecture department, who had earlier visited the Schweikher home with architect Mies van der Rohe, was actively recruiting Schweikher to succeed him at Yale. After some consideration he decided to accept the post. The career move made it necessary to find buyers who would truly appreciate both the house and the surrounding acreage that was so much a part of the design. In 1953, Martyl and Alexander Langsdorf visited the property. They were, respectively, an internationally acclaimed landscape artist and a physicist who worked with Enrico Fermi at the University of Chicago. Both appreciated the special house and agreed to the purchase. They, in turn, became faithful, passionate owners of the property for many years and worked successfully to place the house on the National Register of Historic Places. 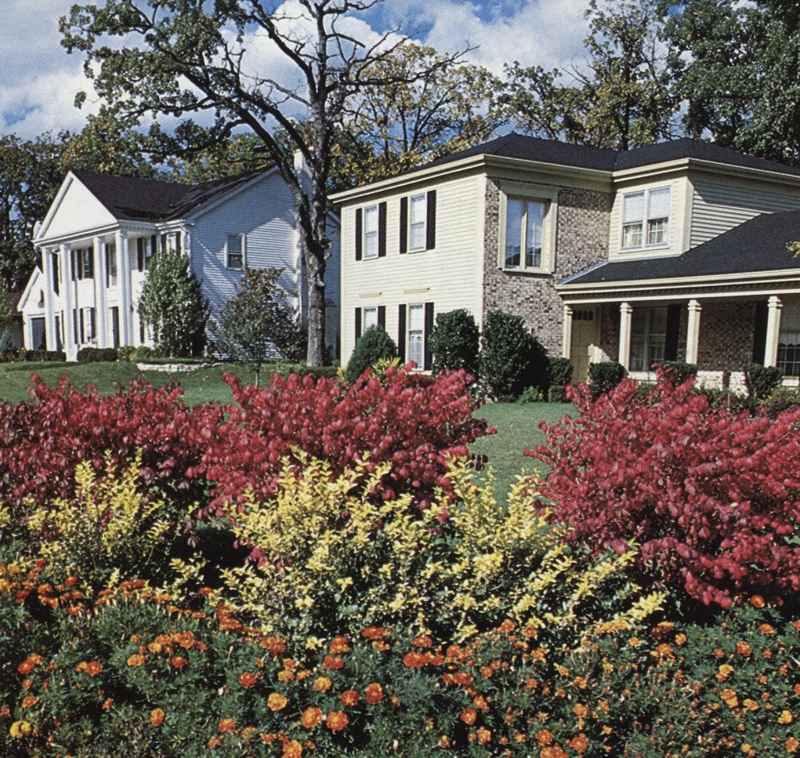 After Alexander’s death, Martyl eventually sold the house to the Village of Schaumburg who maintains it to this day as the Schweikher House Preservation Trust. Schweikher stayed at Yale until 1958 when he left to become Chairman of the Carnegie School of Agriculture at Carnegie Institute of Technology (now Carnegie–Mellon) in Pennsylvania. While there, he continued to design a variety of buildings. He retired in 1970 and, with his wife, subsequently moved to Sedona, Arizona where he, once again, designed and built his own residence. 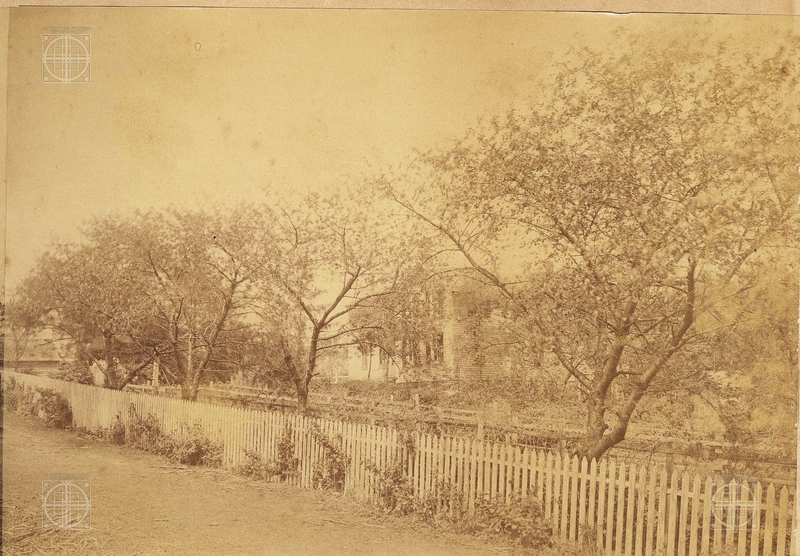 He is pictured outside of the home in the photo below. Even with this small view, it is possible to note some similarities between the two houses. He lived there until his death in 1997 at the age of 94. How fortunate we are to have his own, self-ascribed gem still in existence in Schaumburg Township. If you get the chance, take a tour. It will be an experience you won’t forget. My thanks to Susan Benjamin for contributing the photo of Paul Schweikher outside of his home in Arizona. Photos of him are rare and it is nice to be able to include this one! 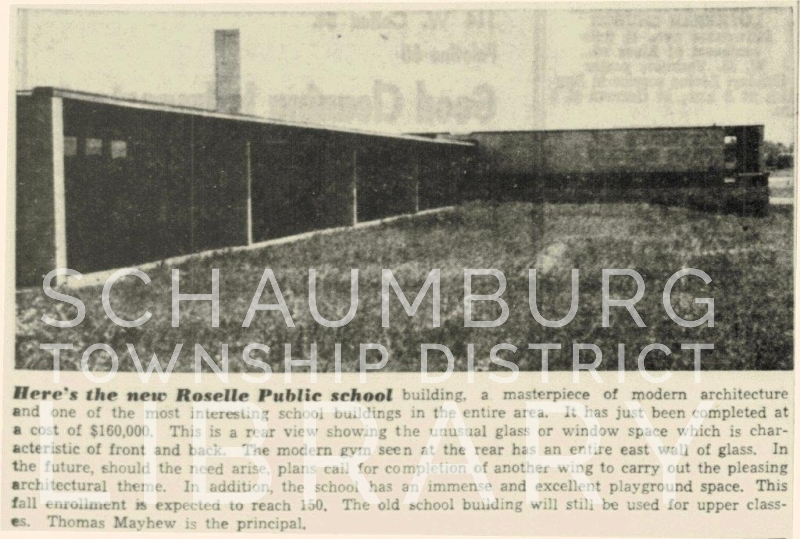 In the next two weeks you can find blog postings on the Roselle and Schaumburg schools that he designed. 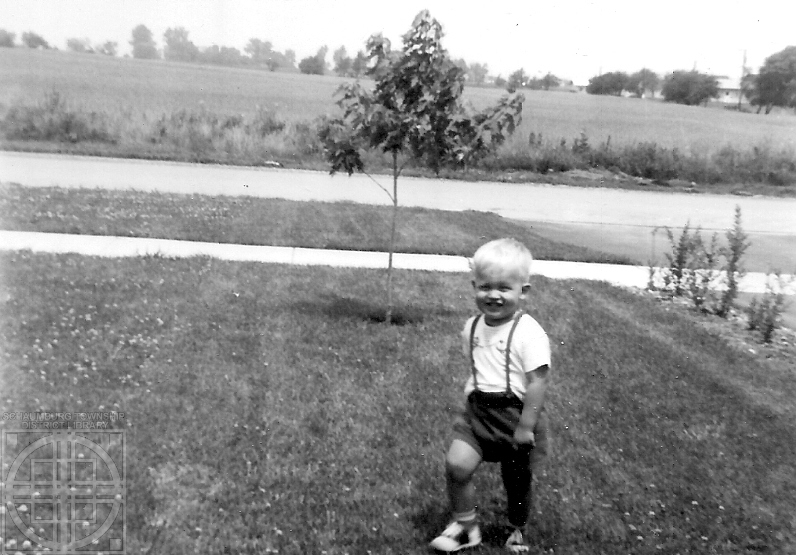 The first thing you notice in these photos is the cute little boy standing in a grassy yard. The next thing that might catch your eye is the young tree as well as the fact that there is a field in the background. Amazingly enough, these photos are taken from the house at–what was then–290 Bode Road in Hoffman Estates. The top photo looks due north towards Higgins Road while the other photo looks towards the northwest. What is most revealing though are the fields, and the fact that there was NOTHING there in June, 1962. 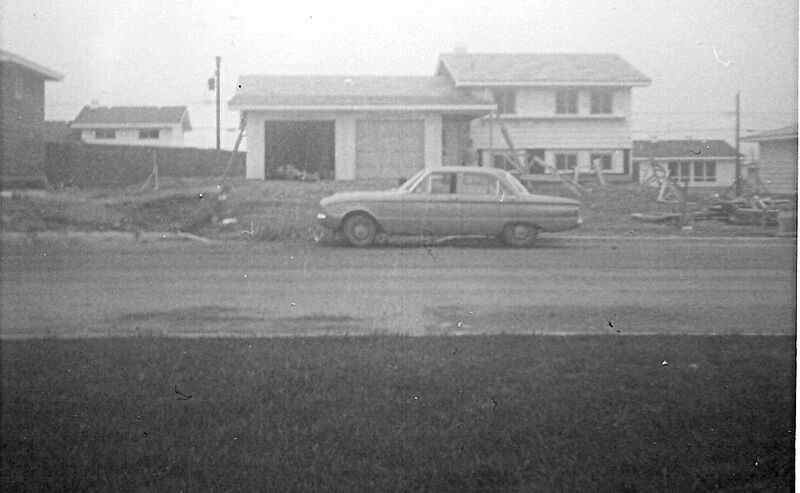 The Sedory family moved into their brand new house in Parcel C in 1960 and had this young boy the same year. Two years later they still had all of that scenery on Bode Road to enjoy. Looking a bit closer in the left photo, there are a few houses to the east of their house and in the other photo there appears to be a farm in the distance. Even still, all of that open space commands the photos. 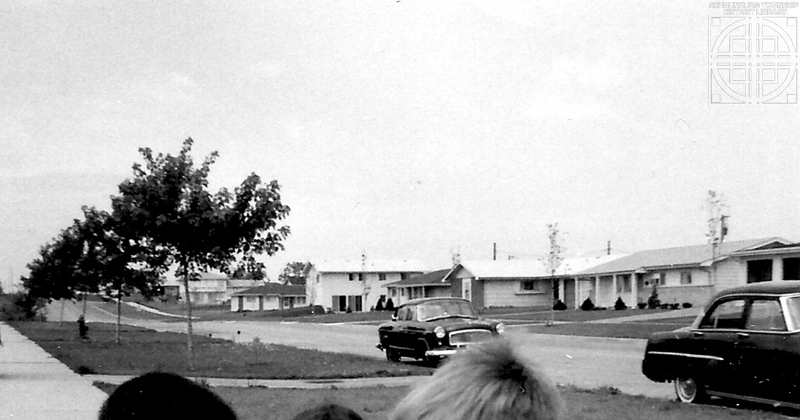 Two years later in 1964, the houses were going up across the street. Dirt and construction refuse was part of the process but you can also see the inclines on which the houses were built as well as the power lines in the background. Clearly some grading had been done by F & S Construction to create the small slopes. This photo was taken the following summer in 1965 and looks west towards Washington. 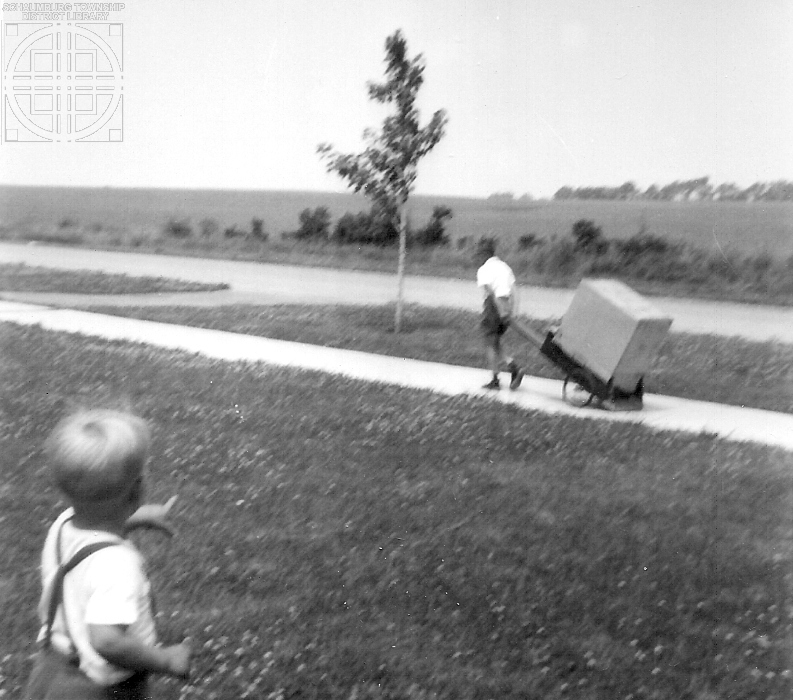 The views and the fields were gone, taken over by brand new homes, trees, roads and, most importantly, families. Watching a street grow year by year in Hoffman Estates is an interesting process. Having photos available that catch that process in detail is fortunate. Thank you Daniel for passing them along! CAN YOU HELP IDENTIFY THESE NEIGHBORHOODS? 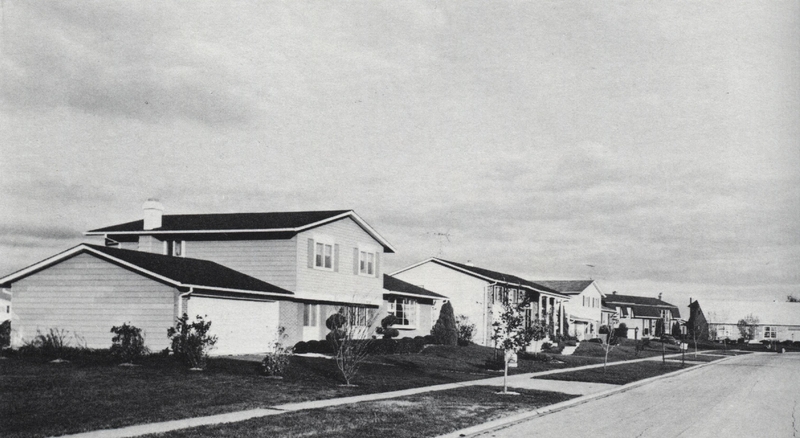 In looking through a 1982 Community Profile of the former Northwest Suburban Association of Commerce & Industry, I came across the following photos of homes and apartments in Schaumburg Township. I’m wondering if the collective brain could help identify the neigborhoods the residences are in? If you can, please leave a comment below. And, if you can identify them as Numbers 1 through 6, that would be very helpful too! Photos are used courtesy of the former Profile Publications, Inc. of Crystal Lake, IL. 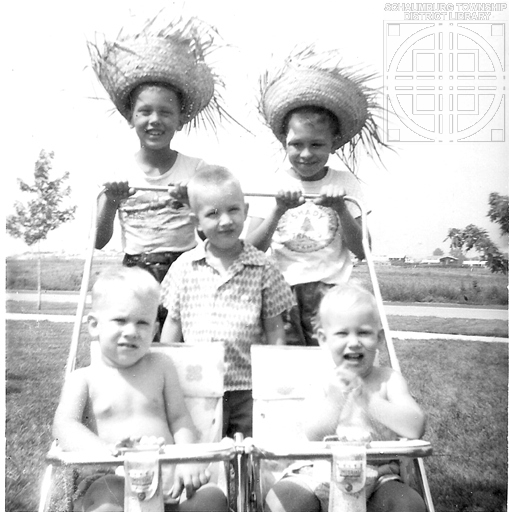 This photo came to me courtesy of Pat Barch, Hoffman Estates Historian. 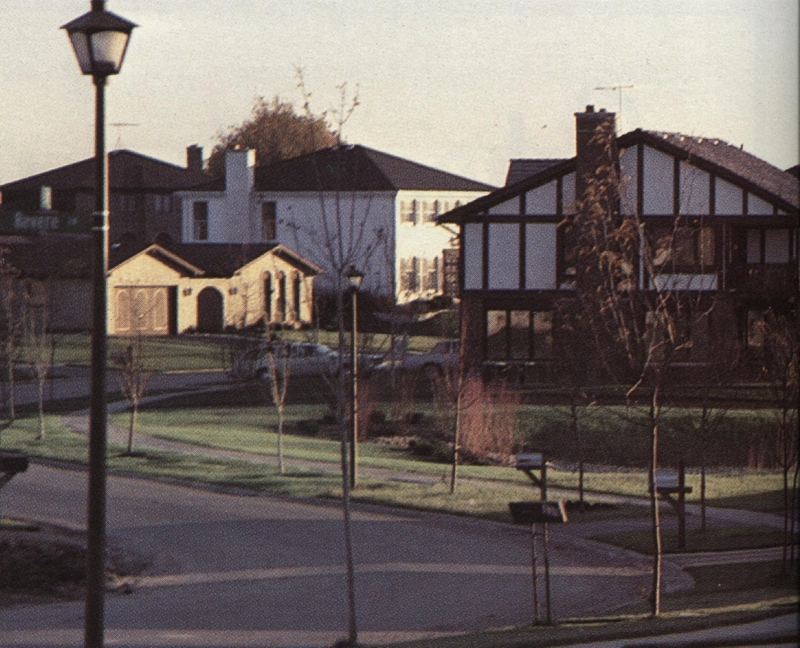 The back of the photo says, “Old brown house on Schaumburg Road, June 1980”. I recognized the brown house as the Al and Marilyn Glade house. It was immediately west of the Ace Hardware at Roselle and Schaumburg Roads in later years and west of the Fenz store in earlier years. A number of families called it home, including Delbert Bullamore who ran the Lake-Cook Farm Supply that was in the small building next to what is now Lou Malnatis. It was a short commute home. The sign, though, for Quinlan and Tyson does not represent the brown house. In my first posting I wrote that the sign indicated that the business was in the brown house. One of the commenters below corrected me and noted that Quinlan and Tyson was, in fact, in the house to the west of the brown house. In other words, it was two doors west of Ace Hardware. I took a look at an aerial photo from this time period that we have on the Local History Digital Archive and confirmed his statement. If you’ll notice in the photo below, there is a tree to the left of the business. The aerial photo shows this tree and, more importantly, does not show a tree in front of the brown house. Ultimately it means the perspective we see is looking east down Schaumburg Road, and the Quinlan and Tyson building is actually to the right and unseen in the photo. That being said, I felt a bit of research on Quinlan and Tyson was warranted. 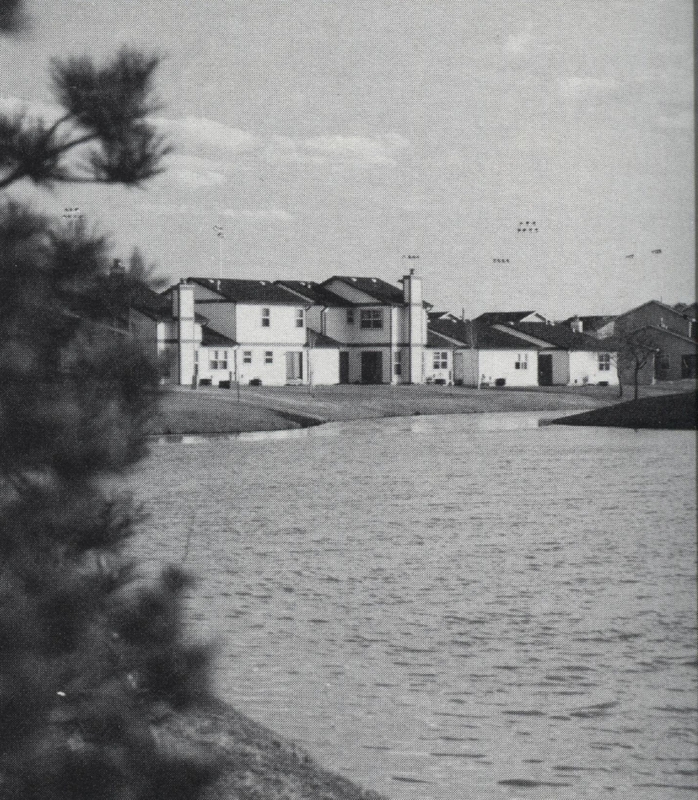 I discovered that they expanded into Chicago’s Northwest suburbs in May 1969 “with offices in Arlington Heights, Palatine and Schaumburg.” [Dreams, Money, and Ambition: A History of Real Estate in Chicago. Betsy Pegg, 1983] Their address was 7 W. Schaumburg Road, which was on the south side of the road. 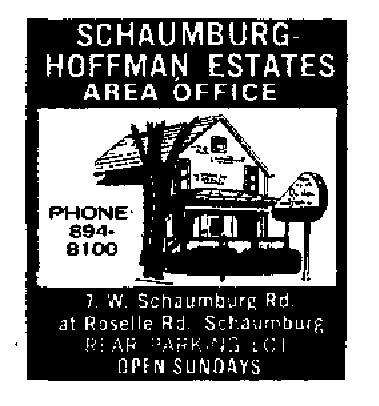 According to their sign this was the Schaumburg/Hoffman Estates office. 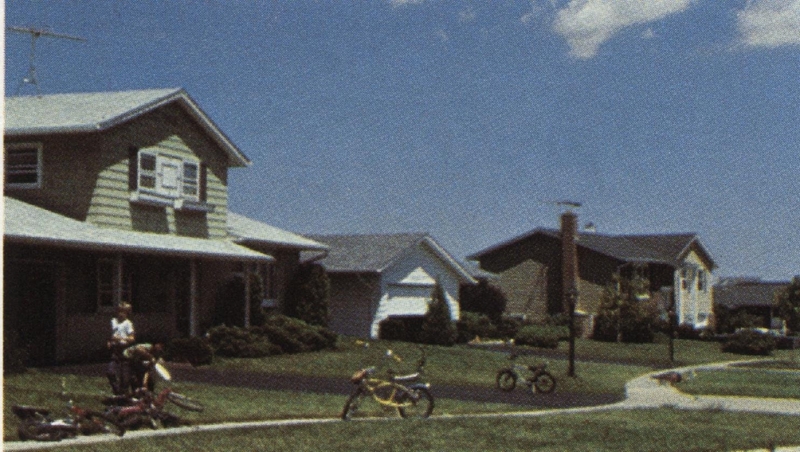 An ad (gratefully used from the Daily Herald) from that time shows a very similar looking house and sign. I found newspaper ads for the agency through 1979 and then switched to our collection of phone books to follow their existence, tracking them through 1984 at the same address. The 1984 date makes sense because, in January 1985, the Quinlan and Tyson name ceased to exist when they were bought by Merrill Lynch. In Dreams, Money and Ambition, it is noted that, on September 3, 1980, “the new Schaumburg institute is officially opened.” This meshes with the teardown date of June 1980 on the back of the photo. The problem was trying to figure out what building took its place, since there is a gap between 1980 and the dissolution of the company in 1985. Plus, there is the fact that the phone books continued to list the real estate office at the same address. To give me a little perspective, I began exploring the Town Square aerial photos on the library’s Local History Digital Archive. 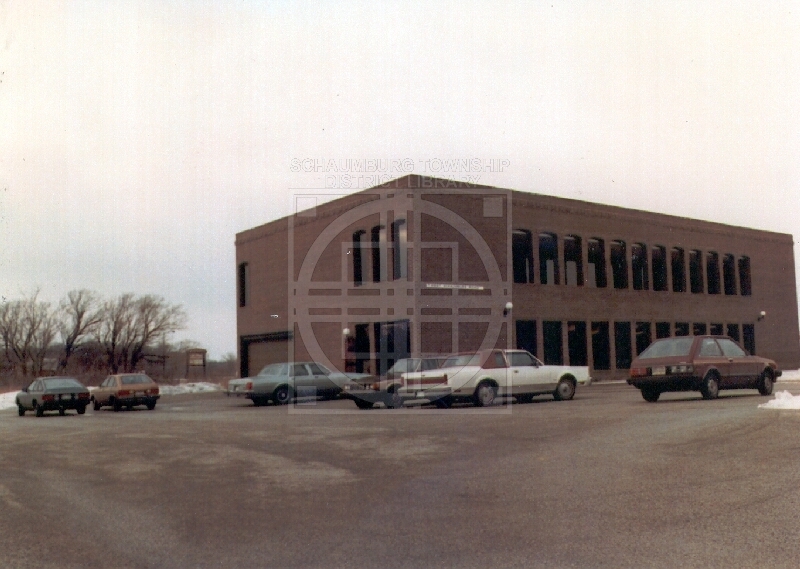 The only building that seemed to be in the proper location was the two-story, brown office building that sat immediately adjacent to the Ace Hardware on the SW corner of Schaumburg and Roselle. With a little more digging through the Digital Archive, I confirmed the connection through the photo below contributed by L.S. Valentine. The building was known as the Quinlan and Tyson building when it was first built in 1980. It housed various businesses at different times, including Quinlan & Tyson Real Estate, Merrill Lynch Real Estate, Prudential Real Estate, William M. Dumich, C.P.A, and Donald Frostholm. 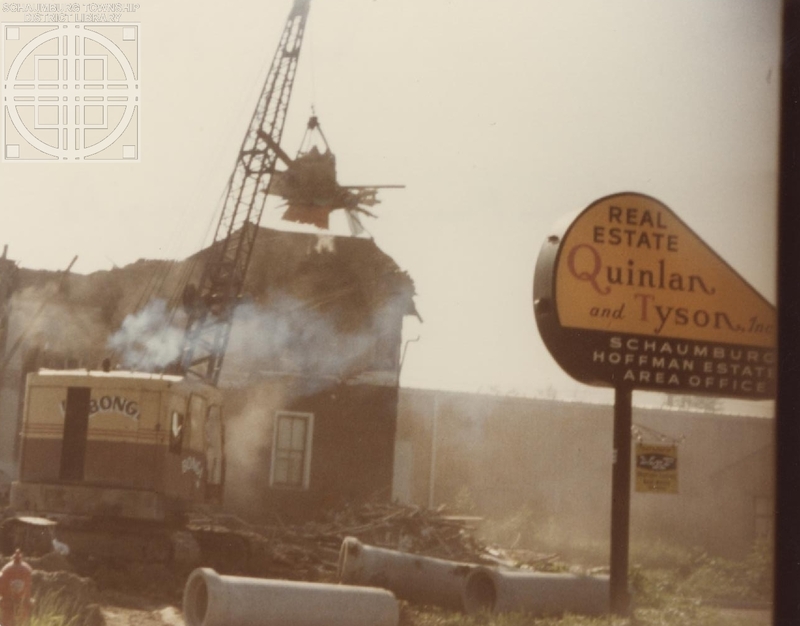 In 1995 the Village of Schaumburg purchased the office building and demolished it in order to begin the redevelopment of a new Town Square. Case closed. Mystery solved. And a huge thank you to Tim Legrady for clarifying the location of the first Quinlan and Tyson office. I always appreciate the assistance of the readers! If you have any other details on Quinlan and Tyson that you’d like to share, please do. Adding to the history is always appreciated! On Tuesday, March 26, 2013, Martyl Langsdorf, a long-time resident of Schaumburg passed away. Martyl, however, wasn’t just a resident. She was also an internationally acclaimed landscape artist whose works appeared in many exhibits, galleries and museums. She was the wife of Alexander Langsdorf who worked on the Manhattan Project that was headed by Enrico Fermi. She was the designer of the Doomsday Clock. 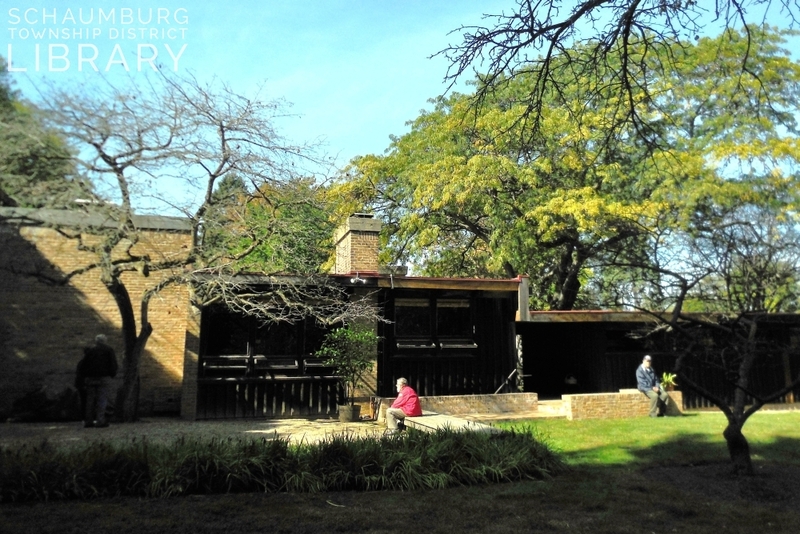 And, most importantly for Schaumburg, she was the enthusiastic owner and caretaker of the Schweikher House that is listed on the National Register of Historic Places. Martyl was born in St. Louis, Missouri on March 16, 1917 to Martin and Aimee Schweig. Martin was a well known local photographer and Aimee was very much involved in the St. Louis art world. The early summers of Martyl’s life were spent in Provincetown, MA studying and working in an artist’s colony run by Charles Hawthorne. Martyl eventually graduated from Washington University in St. Louis and studied with Arnold Blanch at an artist’s colony called the Colorado Springs Arts Center. From 1932 to 1941, Martyl’s mother, Aimee, was the central figure in the Ste. Genevieve Art Colony in a town by the same name that is down river from St. Louis. Martyl was very much engaged in this colony’s work and inspired by their desire to paint the real effects of the Great Depression. One of her contributions can be viewed today in a mural called “La Guignolee” that still hangs in the local post office. In 1941 her life took a different turn when she married Alexander Langsdorf, Jr., a nuclear physicist. They moved to Chicago in 1943 when Alexander was asked to work at the Argonne National Laboratory. Shortly after, their daughters Suzanne and Alexandra were born in 1945 and 1948. It was during this time that Hyman Goldsmith of the Universty of Chicago and the founder of the Bulletin of Atomic Scientists, asked Martyl to design a cover for the Bulletin. 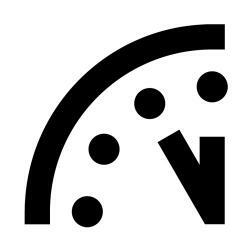 Martyl responded with the familiar representation of the Doomsday Clock that has been on the cover of every Bulletin since its inception in June 1947. 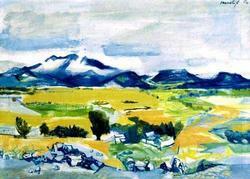 Though she is known in the art world as a landscape artist, this is her most famous work of art. In the early 1950s the Langsdorfs began looking for a more permanent home. 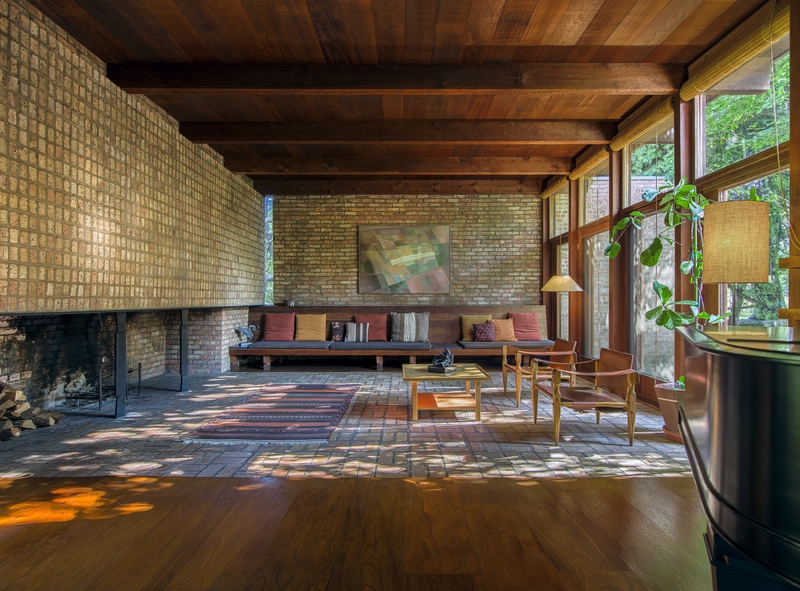 They discovered a gem of a house that was built by Paul Schweikher, a noted Chicago architect, who headed the firm Schweikher and Elting. Mr. Schweikher had recently been asked to join Yale University as chairman of the School of Architecture and it had become necessary to move his family. The sale was made in 1953 and the Langsdorfs moved to the house in Schaumburg Township. Not only was the house a gem, but it was a hidden gem as well. 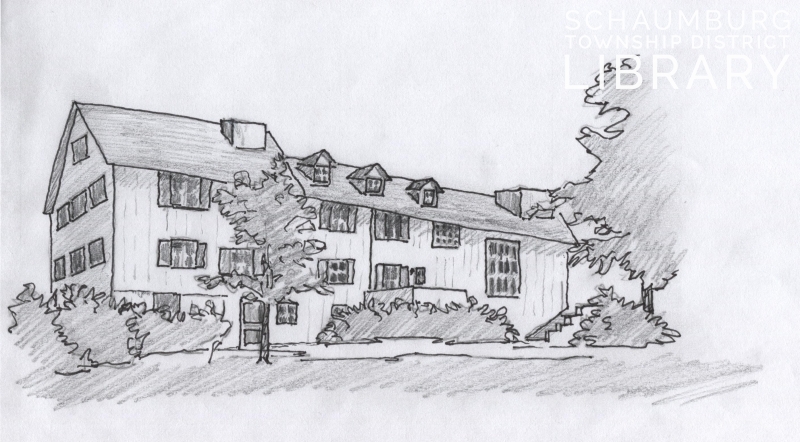 Mr. Schweikher acquired the property around 1936 when he remodeled a barn into a house for L.D. Kern in rural Schaumburg Township. On a lovely, remote piece of land that abuts Salt Creek off of Meacham Road, Schweikher proceeded to design and build a house from 1937 to 1938 with the Japanese influences that he loved. The Langsdorfs continued the love affair after they purchased the home and worked zealously to maintain its originality and condition. Their respect for the house and its architect is to be noted in the way that the house is known as The Schweikher House. For the next 60 years Martyl continued to pursue her art and, as the Chicago Art Institute says, “embraced painting, printmaking, drawing, mural and stained-glass design.” Her world travels influenced her work and it was reflected in a steady stream of solo exhibits in New York, Chicago, San Francisco, Los Angeles, and her hometown of St. Louis to name a few. Her works are part of the collections of the “Art Institute of Chicago, Brooklyn Museum, Illinois State Museum, Los Angeles County Museum of Art, National Museum of American Art in Washington, D.C. and Whitney Museum of American Art in New York.” Locally, you can see a collection of her paintings near the Rasmussen Meeting Room at the Schaumburg Township District Library. In the late 1980s she and her husband faced their biggest challenge when the Metropolitan Sanitary District of Greater Chicago threatened to condemn their property and their unique home. Fighting for its life, the Langsdorfs were able to obtain National Register in 1987 before the house was purchased by the District in 1989. As part of the negotiated contract with the District, the Langsdorfs were granted life tenancy in the house. With foresight and appreciation for this local landmark, the village of Schaumburg purchased the home in 1999–a few years after Alexander died–and allowed Martyl to maintain the house as her residence in between her travels. Her love for her home was strong, tenacious and palpable. She enjoyed giving tours and insisted on shoeless feet moving across the floors. The Japanese garden on the side and the unique peonies in the backyard were an easy enticement to leave the house. She knew every intricacy and detail of the home and was insistent about the care and upkeep. Her amazing memory and recall allowed her to regale visitors with stories of others who had come before to tour her home. It is fitting that she passed away still attached to the house that she enthusiastically embraced for so many of her 96 years of life. As so often happens with the ebb and flow of life, Schaumburg lost a gem and gained a gem all in the same day. “I met Martyl in 2007 when the library sponsored a program to honor the oral historians of SchaumburgTownship. Not only did she participate in the program but she also invited me to her home for a personal tour. For an architectural neophyte like myself, she was very patient and answered every naive question I threw her way. One day I spent the morning with her in my favorite room of the Schweikher House. We had tea in the sunny kitchen with its open shelves stocked with so many unique bowls, platters, pitchers, dishes and crockware that I was eager to examine. We talked about our enjoyment of St. Louis and how my husband and I had recently taken our daughters to Ste. Genevieve for spring break. We talked about how we both loved to shop for clothes when we traveled and that it was a great excuse to indulge when we did. And, of course, we also discussed Schaumburg–the old and the new. She talked about Alma Panzer, who served as a housekeeper for the family, and what it was like to live in such a remote, quiet area for so many years. We also spoke of the goings on in Schaumburg as well as the restaurants she liked to take her visitors to. I loved her no nonsense attitude, her sly sense of humor and the way her artistic side found its subtle way into the clothes she wore. She seemed to effortlessly envelop people into her circle. And what a circle it was! Her confidence and easy laugh were a delight and it was just a pleasure to know her. You won’t find this house anywhere in Schaumburg Township. It was number ML108 in a series of postcard photos that were taken around 1913 near Schaumburg Centre. Like a number of the buildings in the series (see the number on the bottom right), it was torn down for the sake of progress. Sadly so, given its uniqueness in this area. 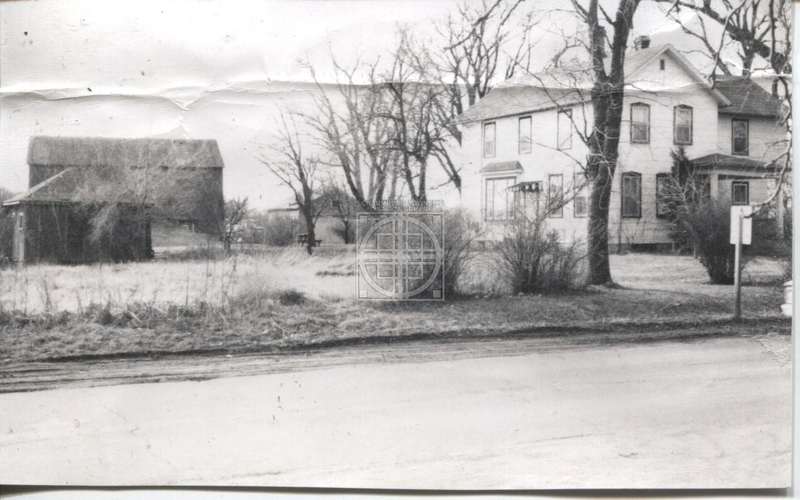 If it were still standing, you would find this home on the southwest side of the intersection of Schaumburg and Roselle Roads, close to where the Applebee’s is. The story of the house begins with Heinrich “Henry” Nerge. Heinrich came to this country from Germany and met Marie “Mary” Schuette who was also a German immigrant. Eventually they married in 1854 in St. Peter Lutheran Church in Schaumburg and had a family of seven children. Mary died after 26 years of marriage on November 7, 1880. Less than a year later, Henry married Marie “Charlotte” (Brandes) Gummer on November 3, 1881. At some point, Henry and Charlotte built the south or left portion of the house. The north or right portion of the house was added on at a later date. By the time Henry and Charlotte reached retirement, they were ready to sign an altentiel—an agreement that arranges for the care and maintenance of an older farmer on his own farm once he is past the age of farming. The agreement is usually arranged between the farmer and a son and not only secures the care of the farmer and his wife, but also keeps the farm in the family. Henry and Charlotte signed this agreement on February 1, 1894 with Friedrich “Fred” and Augusta (Guemmer) Nerge. Fred was the son of Henry and his first wife Mary. It is unknown whether Augusta was related to Henry’s second wife, Charlotte, and her first husband but it certainly seems likely–even though the spelling of their last names is slightly different. The altentiel stated that the two families would live in the house together. Henry and Charlotte would live in the north part of the house and Fred and Augusta would live in the south part. Three years later, on June 26, 1897, Henry passed away. 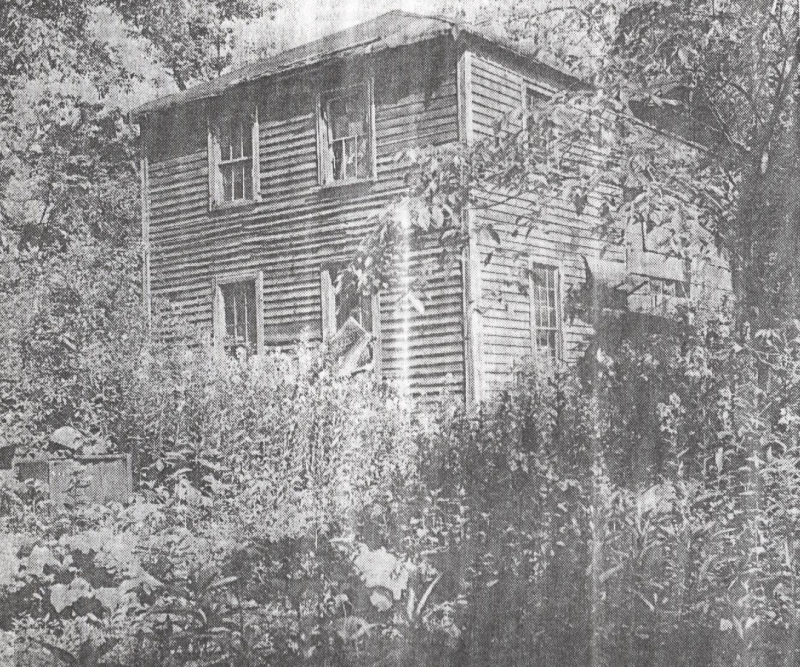 It is unknown if Charlotte continued to live in the house until she died on August 2, 1904. Given the fact that she was a co-signer of the altentiel which guaranteed her care, it can be assumed that she probably did stay there until her death. This was a good arrangement for Fred and Augusta. Fred Nerge owned and ran a blacksmith shop that was to the north of the house. The commute was negligible and it would have been easy to call on him in an emergency. Mr. Nerge was also busy in township politics, serving as the township tax collector. Fred and Augusta eventually sold both the house and the business and moved to Elgin. Getting older could have been a factor in the move as well as the use of tractors that probably negated a good part of the blacksmith business. Fred died on April 13, 1946 and Augusta died December 18, 1960. It is possible that the Nerges sold their property to the John Bageanes family because they are listed at this address in the 1928 Roselle telephone directory. They were a Greek truck farming family who farmed the 30 to 35 acres of property directly to the west of the house. According to Alice Wochnick who grew up in the area, the house was later used for apartments. At one point the Martinovich family lived in the upstairs apartment. According to Ann (Martinovich) Dieke, her mother, two sisters and brother lived in the two-bedroom apartment during the 1940s. Mrs. Martinovich worked as a housekeeper for Wayne King, the famous bandleader who owned a farm south on Roselle Road. They rented from the Kulas family who were the owners and lived downstairs. The Vermillions are also remembered as another renting family. Eventually the house was sold in the late 1940s or early 1950s to Antonio (Anthoni) and Valeria Wilk—a Polish family. According to their granddaughter, Stephanie, the property was 31.101 acres and came with a barn and various outbuildings. While living there they kept goats, ducks and chickens. The property that extended to the west of the house was leased to an area farmer. Because it was built before indoor plumbing, Stephanie recalls the house had a bathroom that had been added on to the outside of the house. It was not well insulated because when it was very cold the pipes froze. Antonio and Valeria left the house and farm by 1963. Before they moved, the Wilks sold off the farm acreage but kept the house and its immediate surroundings which was about 2 ¾ acres. The house was rented out at this time. Valeria died in 1964 and Antonio in 1967. After Antonio passed away, their four children inherited the remaining property. They subdivided it into 3 plots. Stephen, one of the sons, bought his other siblings out. Stephanie and her husband moved in on the first floor in May 1966 while the second floor continued to be rented out to Ilse Wolter. Ilse’s daughter’s family had been living on the first floor prior to this. Following the death of her husband, Stephanie continued to live there until December 1972. Eventually Stephen’s family sold two of the plots and the house and its outbuildings were torn down. The last remaining plot was sold to Blockbuster Video around 1997/1998. That spot is now occupied by Coldwell Banker. This blog posting was written with the assistance of Stephanie Wilk, Larry Nerge and Pete Noll. Thank you! I recently received an email from a friend asking about the origin of the street names in the “W” section of Weathersfield. In case you’re unfamiliar with the “W” section, this is the earliest part of the Weathersfield development and is on the southwest corner of Schaumburg and Springinsguth Roads. Some of the street names there include: Winthrop, Westover, Wedgewood, Warwick, etc. It’s rather curious that they all begin with “W” but, because this is the original part of the construction, much care would have been taken with the naming of the streets. We can assume it was a very intentional part of their plan. 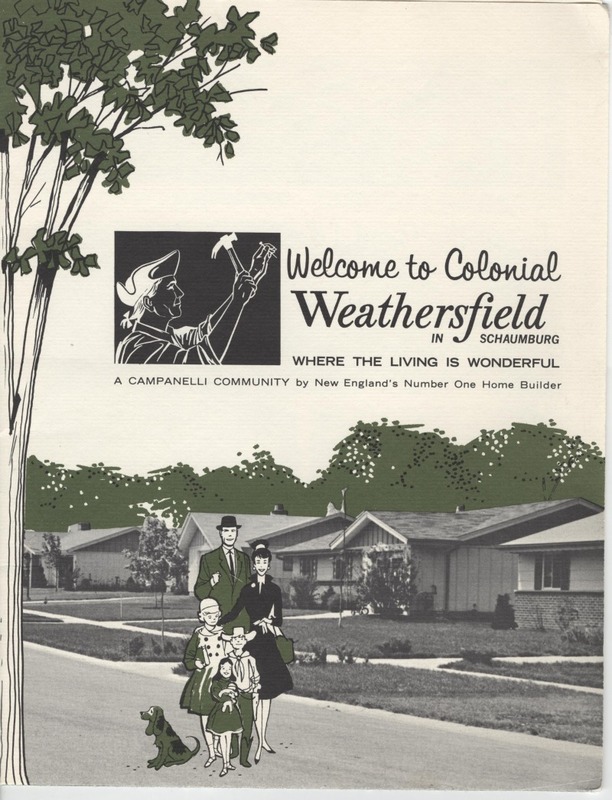 The Weathersfield development was begun in 1959 by Alfred Campanelli who was from Massachusetts. With so much potential land to use and, with the intent of building a large development, naming of the streets would have been given great consideration. In a sense, the Campanellis were immigrants moving to a new place and, as so often happens when people venture forth, they bring the names of the old, familiar places with them. As a result, the names in that “W” section are all locales from the East Coast. We have other names in the Weathersfield development like Brockton, Concord, Kingston, Duxbury, Dedham, Hingham, Plymouth, Hingham, Salem and Cambridge that are town names right out of the Northeast. In fact, should we assume that the entire development was named for Weathersfield, VT? A number of the street names can be attributed to some of the East Coast prep schools like Princeton, Dartmouth, Yale, Radcliffe and Groton. Others like Revere, Carver and Standish are clearly historical figures from early American history. And, then, there are the personal names like Leila, Charlene, Patricia, Jeffrey, Williams, Andrew and Victoria. It is possible they are the names of family members or associates. If you are an original Weathersfield owner or are familiar with the reason behind the naming of one or some of the streets, it would be welcome information to add to this posting. After all, you have to wonder how Capri, Coral and Clover fit into that New England frame of mind, don’t you? My thanks to B. Lane for her invaluable assistance with this posting. When the Metropolitan Water Reclamation District began condemnation proceedings on their house in the late 1980s, Alexander and Martyl Langsdorf sprang into action. Through a hard fought battle, they not only won life tenancy of the house, but National Register status in 1987 as well, two years before the house was, indeed, acquired for $45,000 by the Reclamation District. 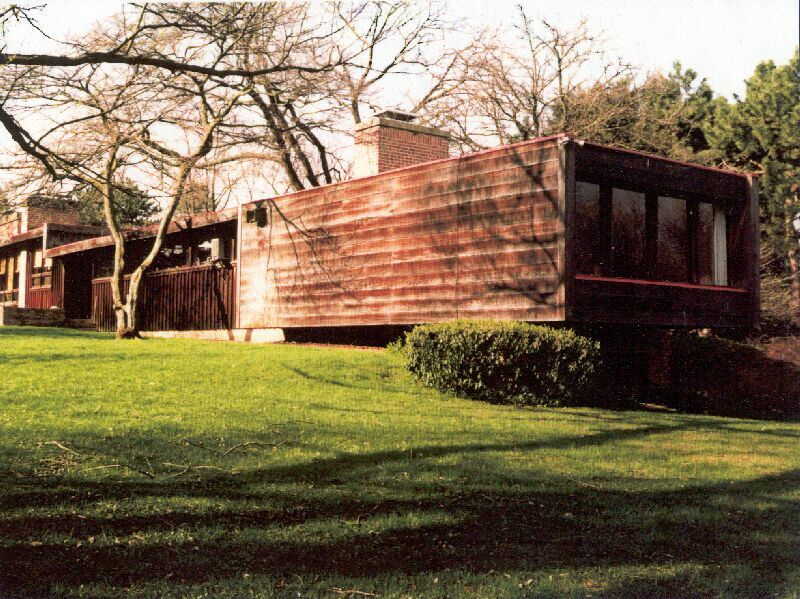 It was later sold to the village of Schaumburg in 1999 and continues its existence today as an architectural gem. The story of the house began in 1937 when Paul Schweikher, an up and coming architect, acquired property on Meacham Road from L.D. Kern. Schweikher had redesigned a barn into a house for Mr. Kern and was given seven acres as payment. Using Japanese and Prairie elements, Schweikher designed a house and studio for himself in rural Schaumburg Township, using it as a base for the Schweikher & Elting firm. A contemporary of Mies van der Rohe, Schweikher lived and worked there from 1938 to 1953 when he moved to Connecticut to head Yale University’s architecture school. The house was purchased by Alexander Langsdorf Jr. and his wife Martyl in 1953. Alexander worked with Enrico Fermi at Argonne National Laboratory on the Manhattan Project while Martyl acclaimed herself as an internationally known landscape artist and creator of the design for the Doomsday Clock. 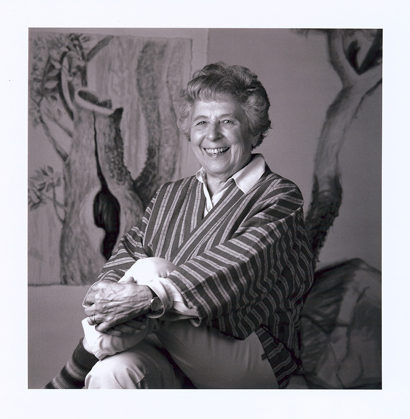 Alexander Langsdorf died in 1996 and Martyl continued her dedication to the house and its grounds until her death in 2013, maintaining a zeal and passion for the unique structure that it is. 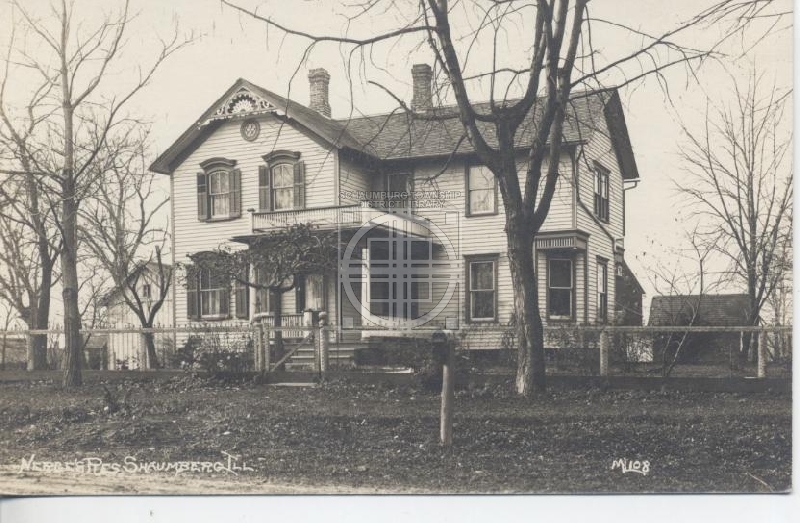 For more photos and information about the Schweikher/Langsdorf House, please visit the Local History Digital Archive. Browse through the Photos by going to Places, followed by Residences : Schaumburg and, finally, Paul Schweikher House and Studio. Be sure and check out the Full Record for a more comprehensive writeup on the house.